When a gem of a restaurant expands to multiple locations, keeping things consistent is the real test. In the case of Pho Hoan Pasteur, do the other locations make the same, lip-smacking pho as the Kingsway spot? Well, a visit to the 170th Street location tells us all — just like the Kingsway spot, you’ll need to line up for the lunch rush. But, just like the Kingsway spot, the West End location runs like a well-oiled machine. You sit down, pick your favourite pho (large, of course) and within a couple of minutes a steaming bowl is brought to your table. The flavour is deep, the meat is tender. 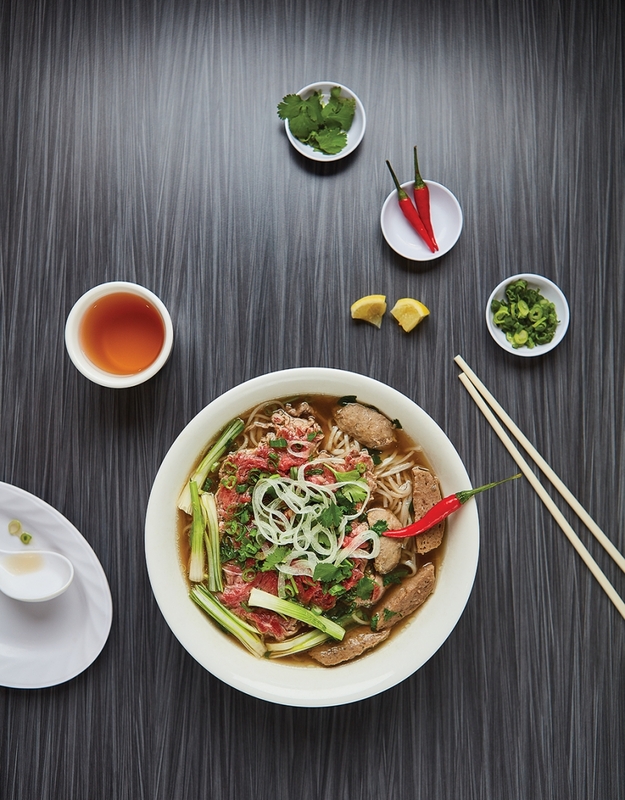 Pho Hoan Pasteur excels whether you go to the home base or the satellite locations. – S.S. The Italian Centre is a home cook’s paradise, with aisles packed full of gourmet treasures. However, before you peruse the aisles, you should without doubt make a stop at the restaurant component, Spinelli’s Bar Italia. The menu is small, but it’s got everything you need — a selection of paninos stuffed with cold cuts or pickled vegetables, and a few pizzas, baked fresh and great for sharing. The Capricciosa pizza — topped with mozzarella, prosciutto, mushrooms and artichokes — is a must-try. And, of course, you absolutely must finish your meal with a shot of espresso (OK, and maybe a cannoli — when in Roma!). – A.M.
location you visit, the Negroni is one of the best you’ll get in the city — bitter and sweet and bitter again, a faithful take on the Italian cocktail classic. All the locations boast open concepts, welcoming for conversation and a solid night out with the group. – S.S.